If you’re hankering to get down on the Kentucky Derby, quaff some cocktails and crush some BBQ, Pleasanton OTB is the place to be on Saturday, May 4. 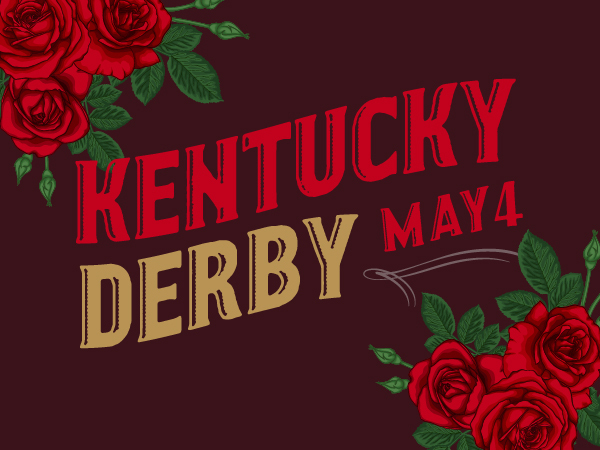 If you absolutely can’t wait, we’ve got great news because we’ll be kicking the doors open at 7am on both Kentucky Oaks Friday and Kentucky Derby day. Check out the list of events we have planned below and be sure to stop by the OTB to pick up a copy of the Daily Racing Form for Friday’s Oaks card and Saturday’s Kentucky Derby program. Check out the OTB Blog for Kentucky Derby handicapping and betting information as we get closer to Derby Day. The Derby only comes once a year, so don’t miss your chance to get down on your Derby horse and compete for some big cash payouts on the first Saturday in May at Pleasanton OTB.